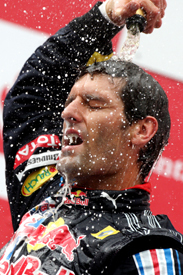 As Mark Webber finally delivered an overdue first grand prix win in commanding style at the Nurburgring, the political rows that have been the theme of the 2009 season continued to rumble in the background. By the end of the weekend it seemed a final resolution had moved closer, however, despite a less than promising start when the FOTA teams walked out of a Technical Working Group meeting on Wednesday having been denied a vote. Amid all this, the story took a new twist as rallying legend Ari Vatanen officially announced that he would stand for the FIA presidency - regardless of what Max Mosley decided to do. There some intriguing on-track stories this weekend too, headlined by the strong likelihood of Sebastien Bourdais losing his Toro Rosso drive before Hungary, and the genuine possibility that Sebastien Loeb could appear in that car in the Abu Dhabi season finale.